As I type, my family is in the midst of a “big” move. Not because we’re moving far away – it’s only about twenty miles – but because we are dramatically downsizing our possessions and moving into an RV. A converted school bus to be exact. We’re calling it our “Homeschool Bus” because we’ll use it regularly to teach our four kids. Yes, we’re a little crazy, but mostly we’re itching for adventure and feel this is the proper next step in our journey to simplify our lives. That said, this move involves getting rid of a lot of stuff (we’ve already downsized quite a bit, but you can imagine what’s necessary for this type of move) and it involves making sure the stuff we keep serves many purposes. Especially in the bathroom, where our space will be very limited. Fortunately, this hasn’t been difficult because we figured out which bathroom items serve us best ages ago. Shampoo – Before switching to washing my hair only with water, I was just using the bar soap that we made to wash my hair. It lathered nicely, washed my hair well and left my scalp feeling very nice. We also use castile soap to wash the kids’ hair. Face Wash – I have sensitive, dry skin, but I can use castile soap to wash my face without the break outs I always used to have. Shaving – My husband loves using a brush and soap instead of shave cream. Castile soap bars work very nicely for this. Moisturizing – I actually like to whip 1/4 cup coconut oil with 2/3 cup shea butter for an awesome after shave moisturizer (for dry skin). But if I don’t have any whipped up, straight coconut oil works great to moisturize my skin. Eye Makeup Remover – Rub a little coconut oil on a cloth and rub eye makeup right off. Carrier Oil – Some essential oils are too strong to be used neat (applied straight to the skin) so you might want to add some to a carrier oil for a massage. Coconut oil is a great carrier oil to do this with. 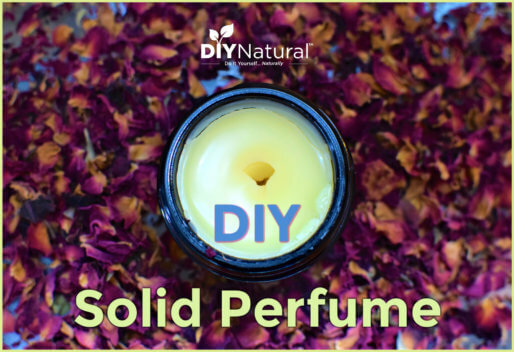 You can check out this article for more essential oil uses. Diaper Rash – Someday we’ll be done with diapers. Until then, we deal with the occasional diaper rash. Healing ointment gets rid of it quickly (thank you coconut oil, herbs and essential oils!). 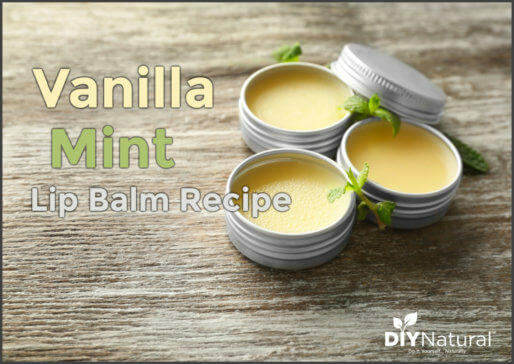 First Aid – When someone gets hurt in our house, the protocol is to put mama’s healing balm on it. Have you seen My Big Fat Greek Wedding? We use healing balm like her dad uses Windex. Because it works! We use it for healing cuts and scrapes, soothing bruises and even as a moisturizer when someone forgets to refill the coconut oil. Shaving Nicks – Stop the bleeding and add a dab of healing ointment to make nicks heal quickly and stop hurting. 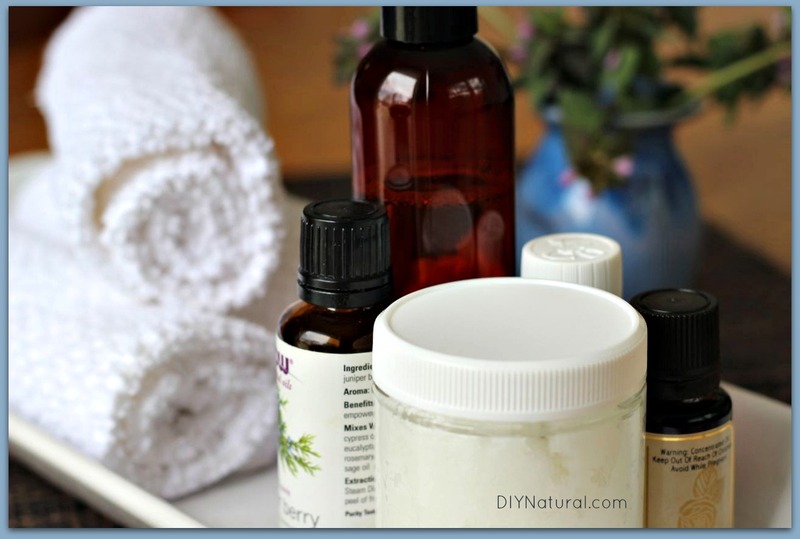 Acne – I’ve found that through the many variations of healing ointment I made, they all do a great job at quickly getting rid of acne. Thank goodness! These four items play a huge part in our everyday bath & beauty routine. So simple! Do you have any multi-purpose bathroom essentials that weren’t listed? I have found a great use for a grocery item. I buy natural coconut milk, put in the refrigerator and when it gets cold I empty the water from the can. I use it to wash my face, moisturizer for my face, hands and body. This may be the best thing, I wash my hair with natural bar soap shampoo and rinse a little of the suds out, then I apply until I can just start to no longer feel the shampoo in my hair then I rinse out. My hands, face look wonderful. My hair is soft and silky (not at all oily) and has great body. Sorry about the confusion! I’m glad you got it figured out, though. I actually don’t make my own liquid castile soap. I buy it in bulk. Even though I got over being intimidated by making bar soap, I’m still intimidated by the liquid. 🙂 I think I’ll look for a recipe, try it out and post a how-to. I am very confused. The post is for Castile Bar Soap. No where in the recipe is Castile soap used. Are you just calling it castile bar soap? I am new to making my own soap and would like to. Please clarify. Of course. This is a recipe for castile bar soap, she just doesn’t call it that. Castile soap is simply soap made using vegetable-based fats like olive oil. I tried the shampoo using castille liquid but it left my hair very oily looking. It was so bad I washed it again the same day, but it looked like it had not been washed in a month. I used the apple cider vinegar conditioner after. Is there anything I can do about this? I have just purchased a 9ltr container of organic Castille soap. I am very happy using it as a hand and body and vege wash.
Do you have recommendations on containers to buy to store all of our DIY goods in? 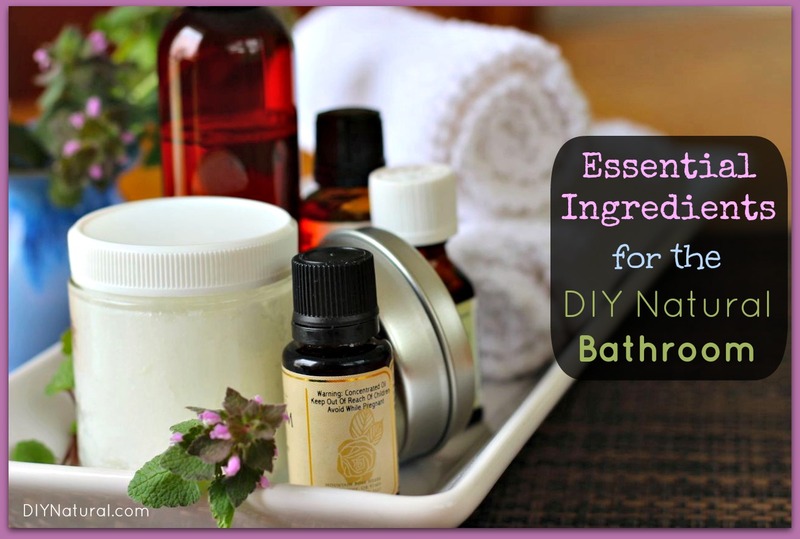 I’ve heard that glass containers are best because they don’t absorb the essential oils. If so, any tips on where to locally buy glass pumping bottles and other storage containers would be helpful. Thank you!!! I just bought my first couple of essential oils. How do I know which ones I can use “neat” and which ones I need carrier oils for? Thanks for your wonderful post! Cngrats on your move – it’s an experience to live in an RV – I was by myself in a 32 foot travel trailer and you really have to change your way of buying and living. My description of living in an RV is- when you go shopping and the store has a special on – buy one package of toilet tissue and get another one free. Well my situation would dictate – I can only take the one I paid for because l don’t have room to stash two packages. I got so tired of stashing, looking for stuff I stashed and lifting furniture to reach for things I stashed. I have always had an over abundance of clothes because I never “grow out of my clothes” so that was another problem there are so few closets and they are so small – how to expand my hangers to get more mileage out of them. Been there – done that – wish you lots of luck. Now I have changed from a spacious 3 bedroom house to a “small 2 bedroom Panamanian casita – unfurnished” – this has been another learning experience and one that requires a lot of ingenuity – especially when getting what you need or want is not available in a small village. Life is never a dull moment. Congrats Nina on your journey to simplicity may the shalom you seek envelop your new abode. The recipe for your homemade soap really excited me. I use Dr. Bronner’s bar soap which is fantastic but expensive @ $3.99/bar. I’m committed to purchasing the lye & palm oil to make soap. I already have the coconut oil however i don’t want to use my storebought olive oil, nor do I have shea butter. Here’s my question: Can hazelnut, sweet almond, or castor oil be used in place of the olive oil? I also have beeswax pastilles, emulsifying wax, & cocoa butter. Can any of these be used in place of the shea butter? My bathroom staples are JR Liggett shampoo soap (great, natural and economical! – my sister had ongoing breakout on her scalp until she started this), Toms of Maine soap for sensitive ( again natural and same thing about my sister) and dairy cream for as facial cleaner and moisturizer for my face and body (it does not sour on you), and finally tom’s of maine deoderant. I use it in the bath to cool down from a hot day working in the yard. Also for my kids’ water if they have heat rash or bug bites. I use it for brushing my teeth. I use it for cleaning in the shower and loosening the drain when it’s clogged (with vinegar and lemon juice). I don’t see castile soap making instructions on that site – am I missing something? At the beginning of that post is a link that says “Next: Tools.” That will take you to the tools you need, with a link to instructions. Forgot to say that I also use coconut oil to remove my waterproof (nontoxic) mascara – works great and feels great. Good luck w/ the move – looking forward to hearing how it goes! I use coconut oil for deoderant (just coconut oil) – works great, gentle, easy and no more razor rash! 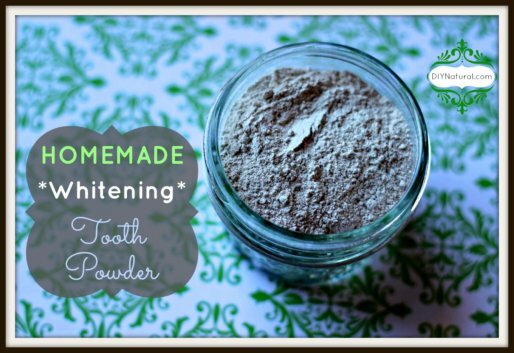 And I use equal parts coconut oil and baking soda for toothpaste (nothing else) – also works great, gentle and easy! And my dentist and dental hygienist have no complaints! Have you tried Basic H from Shaklee? My facial skin became very dry after wash and my hair didn’t look clean and shiny after wash. I would love a recipe for shower gel. How do you make the castile soap bars? Please share! Instead of using castile soap, I use coconut oil to shave! It works very well and your skin feels super smooth afterwards! How about some instructions on how to make castile bar soap? I would like to make the Castile bar soap, but didn’t see the instructions. Nina, new adventures are always exciting. As you prepare for this one, please remember to diffuse your essential oils OFTEN. It’s very hard to get good ventilation in most of those units and many of the materials used to build in RV’s or “make-over” units are loaded with chemical junk – please run, run, run those oils to keep your air clean and your family healthy. recipe. I suppose I could google it.